Our Air Care range functions to neutralise and eliminate odours at a molecular level, as well as disinfect the air. Our product literally ‘eats up’ the smoke and smell molecules, leaving behind a natural sweet smelling scent. We do not used synthetic chemicals that function to only camouflage or mask odours with heavy perfumery that are actually ineffec-tive against heavy odours like cigarette smells and fermented foods. These chemicals are harmful and negatively affect the human senses over long periods of exposure. We use real French lavender oil that is both a natural disinfectant and anti-microbial agent. Even though a lot of oils like eucalyptus, basil and even baking soda have the ability to remove odours, they are not as effective nor as pleasant-smelling as lavender. 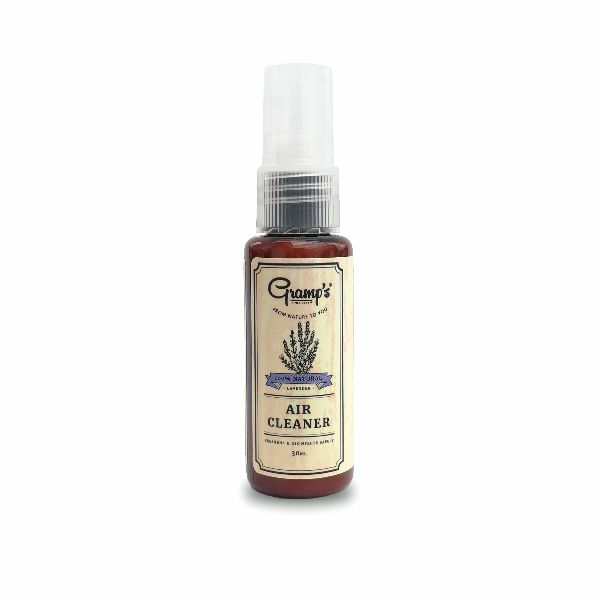 The 150 ml Gramps Household Air Cleaner is a remarkably effective solution to quickly neutralize unwanted odors. It is formulated to instantly remove even the toughest odors. 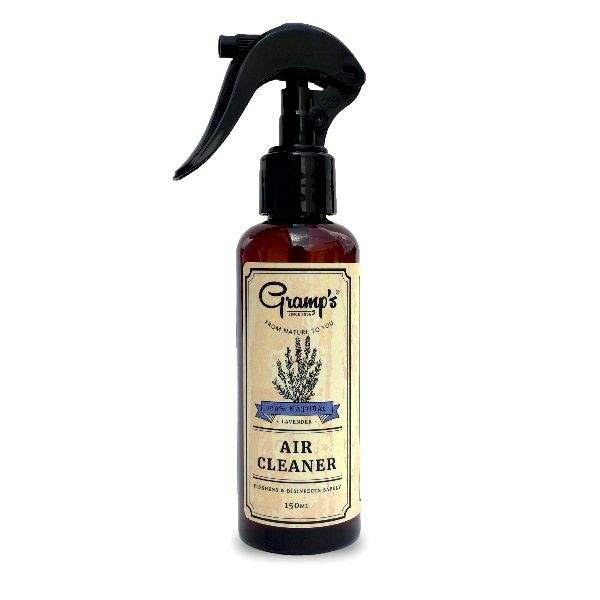 Unlike most air refreshers which function to only masks offending odors, Gramp’s Lavender Air Cleanser works by NEUTRALIZING the odor molecules and the natural lavender acts to eliminate bacteria and deliver a powerful fragrance. In addition, the formulation is made completely with natural ingredients with 0% synthetic chemicals that makes it completely environmental friendly and more importantly, safe for even babies and pets.